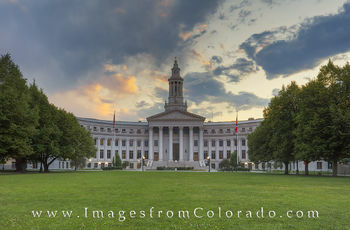 Denver is the most populated city in Colorado and serves as the state’s capital. The downtown area rests near the confluence of the South Platte River and Cherry Creek. Known as the “mile high city,” Denver rests 5,280 feet above sea level and is the fastest growing large city in the United States, thanks in part to relocating Californians! And it is no wonder as in 2016, Denver was named the best place to live in the U.S. by USA News and World Report. 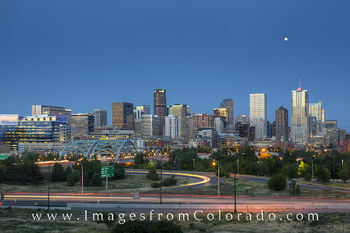 The Denver skyline continues to grow, and the tallest building is Republic Plaza (714’) at 56 stories high. The second highest building is the Century Link Tower at 709’. The revitalized downtown area features many opportunities for shopping, entertainment, and sightseeing. 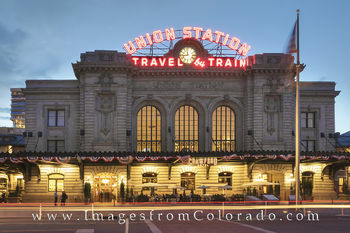 Some of the more popular areas include Union Station in LoDo (Lower Downtown) as well as the 16th Street Pedestrian Mall. 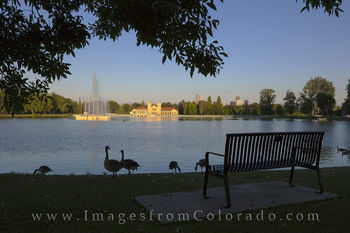 City Park and Washington Park are just two examples outside the downtown area that offer areas for families and individuals to enjoy the outdoors while not leaving the city. 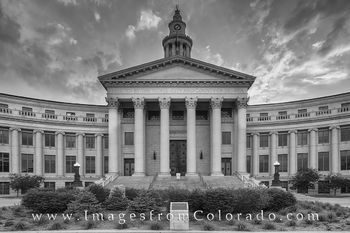 Denver also plays home to the governmental center of Colorado. 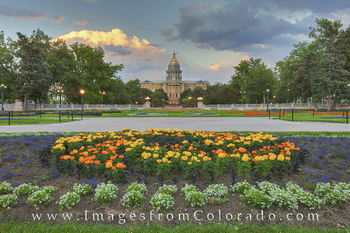 The Civic Center is actually a large park at the intersection of Colfax and Broadway. 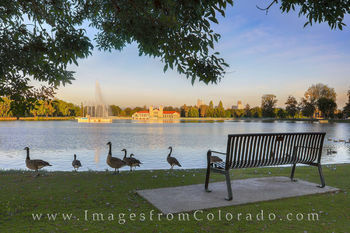 Located in central Denver just south of the business district, this center of civic life is the hub of arts, cultural events and government, and plays host to festivals, parades, and other events each year. Civic Center park even hosted American Ninja Warriors in May of 2017! 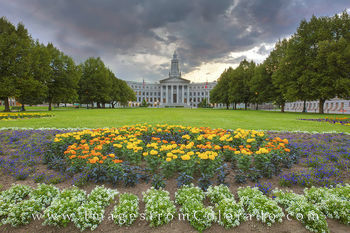 Prominent buildings around the Civic Center include the iconic Colorado State Capitol and the City and Country Building. 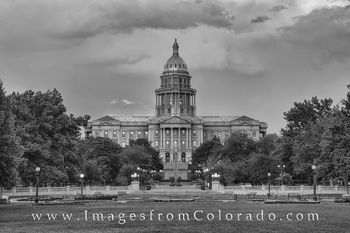 The Colorado Capitol is famous for its golden dome made from real golden leaf. It was constructed in the 1890s and opened in 1894. In 2003, a marker was added to the third step on the west side of the Capitol to indicate the location where the building is exactly one mile above sea level (5,280'). From there, you can look west and see the sun setting over the distant Rocky Mountains. 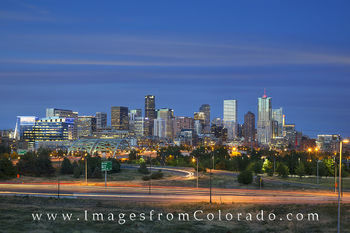 Please enjoy these images of the Denver skyline as well as those from the Capitol and Civic Center. If you have any questions about these photographs from Denver and the surrounding area, please do not hesitate to contact me.